Every year thousands of children around the world get caught up in war, becoming innocent victims. 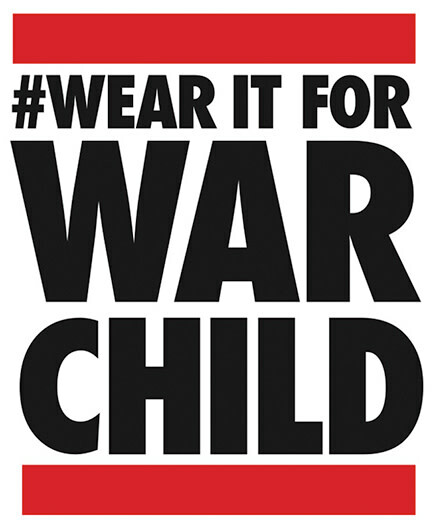 The charity War Child has set out to protect, educate and stand up for their rights, and every year they host a week of music events in London together with telecommunications brand O2, to raise awareness and funds, as part of BRIT's Week and the campaign #WearItForWarChild. O2 and War Child are inviting artists from around the world to create visual artwork that captures the campaign line ‘#WearItForWarChild’. Your visuals simply have to capture the imaginations of people and inspire them to take part in the online campaign #WearItForWarChild - they should be positive, uplifting and encourage people to take part in a great and worthy cause. O2 and War Child are looking for creative visuals (including illustration, graphic design, paper art, illustration on top of photography, etc.) inspired by #WearItForWarChild. They are also looking for short-form/animated content including GIFs or cinemagraphs. 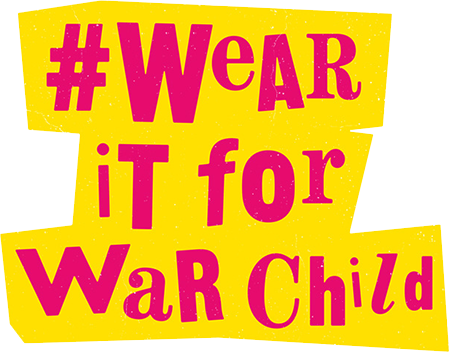 Please do not submit hard-hitting visuals of children in war zones, but focus on getting people excited about rallying their support around the campaign #WearItForWarChild and the amazing work War Child can do as a result of funds raised. Five designs will be selected and the Selected Artists will receive the opportunity for their work to be used by O2 and War Child to drive awareness of the War Child charity and the #WearItForWarChild campaign. The work may be used on social, in experiential or at live music events in the UK in 2017. They will also receive £500 per piece selected. Your submission must include the line ‘#WearItForWarChild’. Your submission should capture people's imaginations and inspire and encourage people to take part in #WearItForWarChild on social media. Please take a look at this mood board for inspiration. Your submission may be made in predominantly blue hues - for inspiration please see the O2 colour palette here. Your submission can be any format - short form animation, illustration, graphic design or even photos with illustration on top. The main thing is to showcase the story of #WearItForWarChild - we want to tell a story or create a movement. Your submission should take into account that this could be used across a variety of channels - social media (what would people click on? ), as a projection at a music show (what would look interesting?) or simply as a pin badge. Focus on the positives and support for the charity rather than the atrocities of children caught in conflict. Please do not use hard-hitting images of children in war zones, this should be encouraging and focused on the positivity of showing your support through #WearItForWarChild. For the last 10 years War Child have partnered with UK telecommunication brand O2 to raise awareness and funds for the charity through a series of music events across the UK. 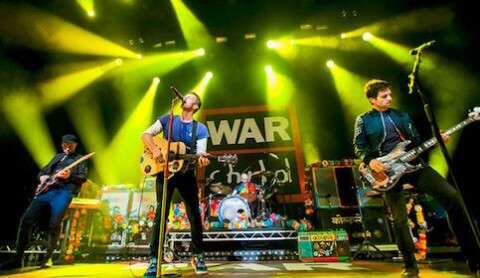 The event series happen every year in the lead up to the Brit Awards and have over the years had lineups including Coldplay, Ed Sheeran, Florence + The Machine, Duran Duran, Take That and many more. 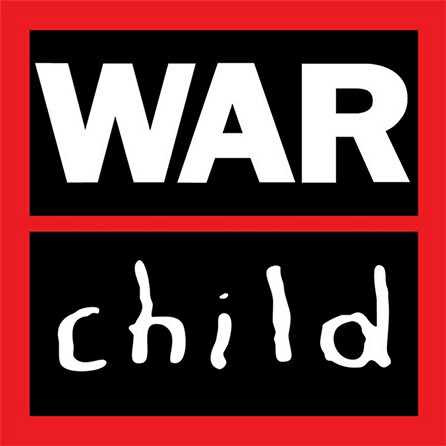 #WearItForWarChild was an initiative started in 2016 to raise awareness of War Child as part of the music event series. Celebrities like Maisie Williams (Game of Thrones), Laura Whitmore and Jamie Campbell Bower have worn T-shirts emblazoned with #WearItForWarChild, and now it’s time to make the movement even bigger - through more than just T-shirts. All submissions must be original artwork (meaning not using third party pre-existing copyright materials or stock imagery) but can be pre-existing or created especially for this opportunity. If any persons appear or are referred to in the submission, the artist is solely responsible for obtaining, prior to submitting, all necessary usage rights and permissions for the contents of their submission. Proof will be required if selected. Artists should retain their original high-res artwork files but static design work should be submitted in JPEG or PNG, max. size 10MB. If your work is selected you will have to provide a high-res version of your submitted work. If submitting an animated GIF or video (max. 30 seconds) this should be uploaded as an mp4 via the “Participate” tab to the Talenthouse player. Artists should retain their original high-res artwork files. Artists should ensure they have read the 'Submission Guidelines' section and refer to the O2 colour palette which can be downloaded here. Selected Artists may be required to modify their work to accommodate production requirements. Artists that are not selected will retain ownership of their work, however O2 and War Child have marketing rights to promote the work on their social media and online channels with reference to this Creative Invite for up to 3 months after announcement of the Selected Artists. All artists will be credited accordingly. Selected Artists will have to sign a Copyright Assignment form which assigns ownership of their work to O2 and War Child for global usage. Selected work can still be used for artist's own portfolio purposes. O2 and War Child will select from all qualified submissions. A qualified submission is one which meets all the Terms & Conditions, Guidelines and Official Rules.